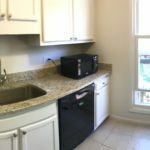 This kitchen had the same problem that so many of this age do. 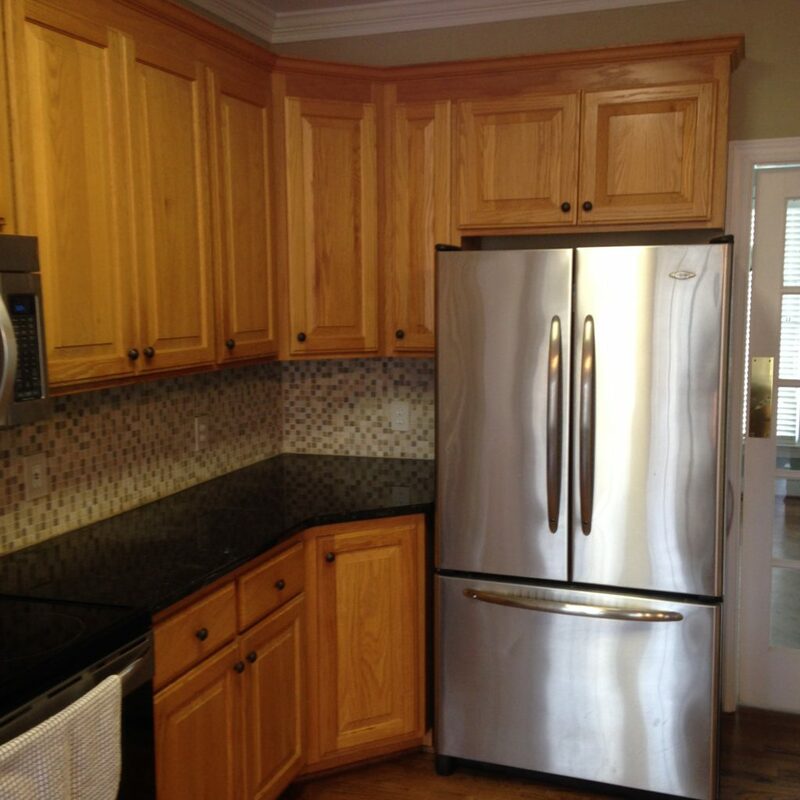 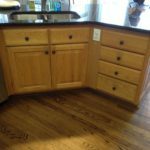 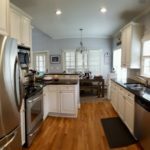 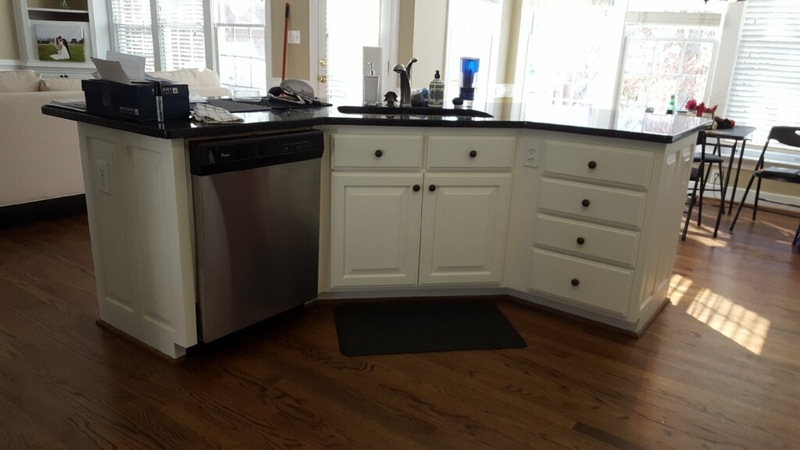 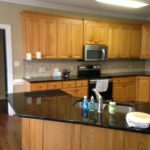 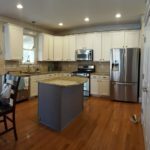 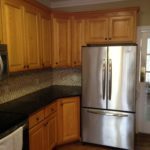 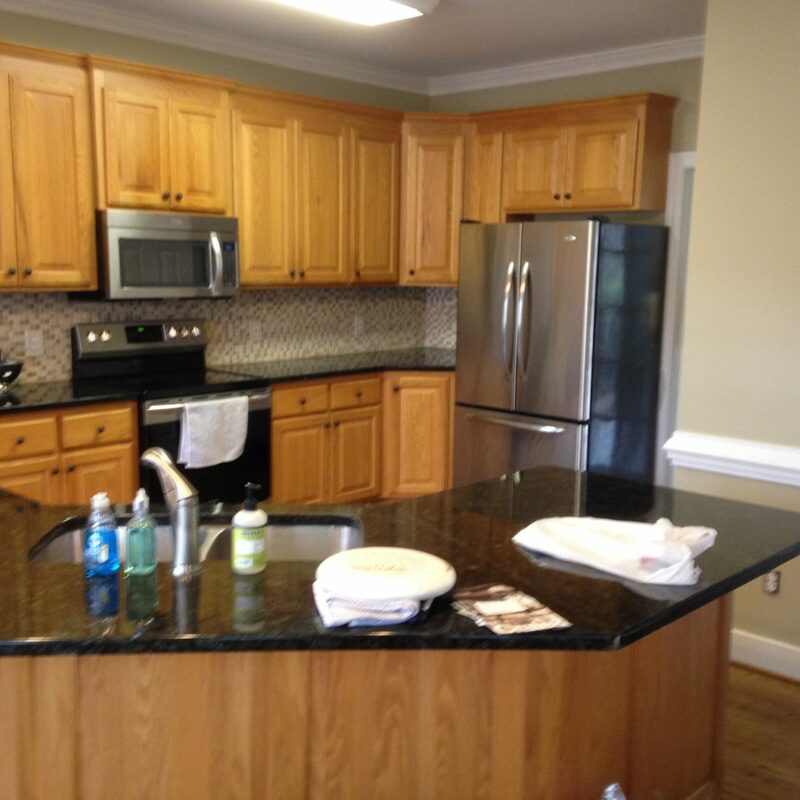 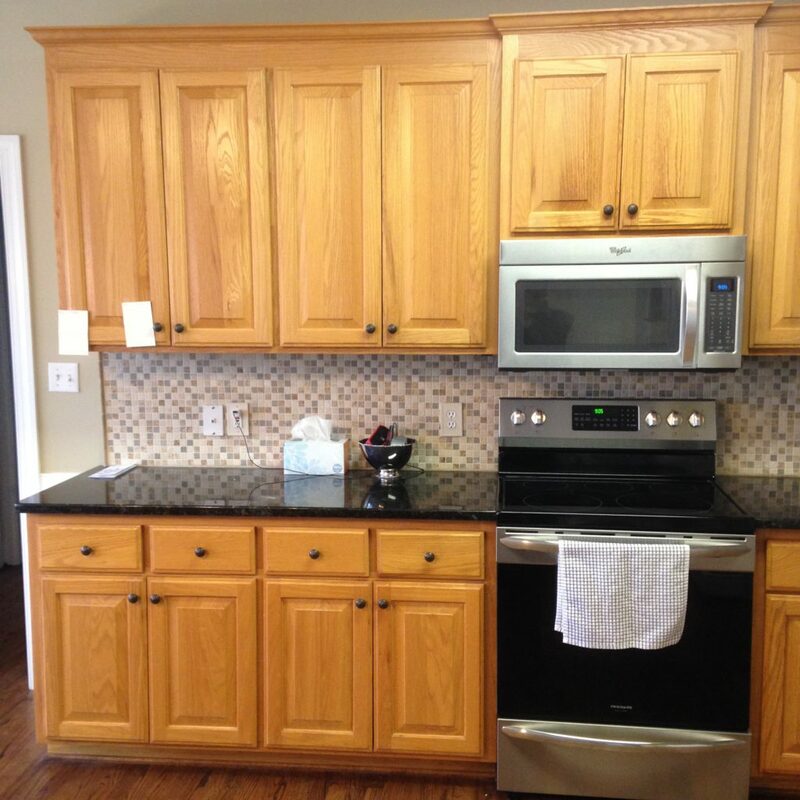 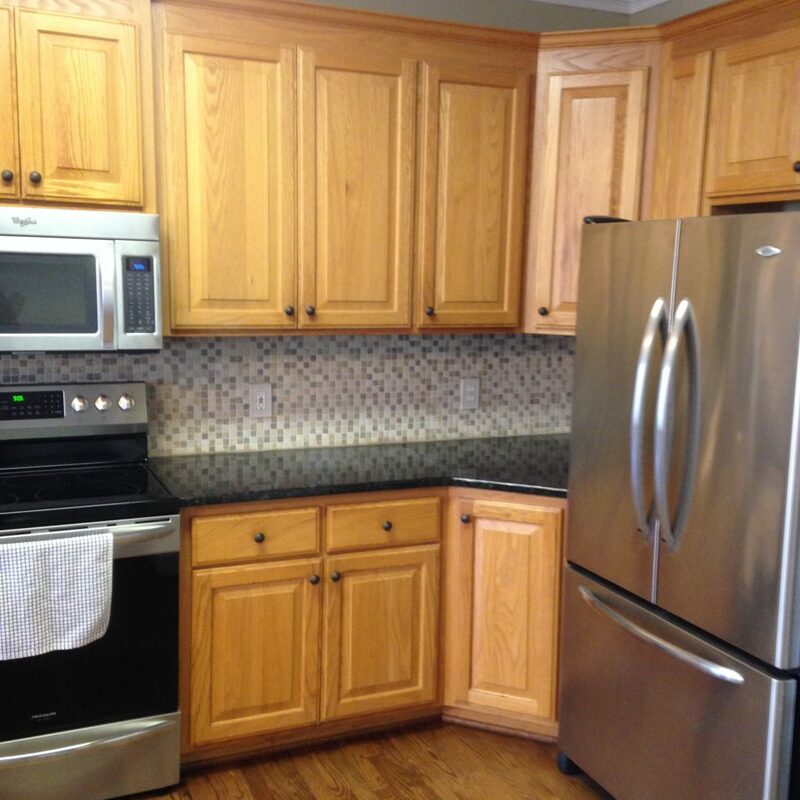 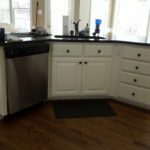 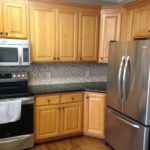 The builder-grade oak cabinets had turned orange over time. 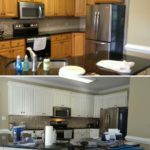 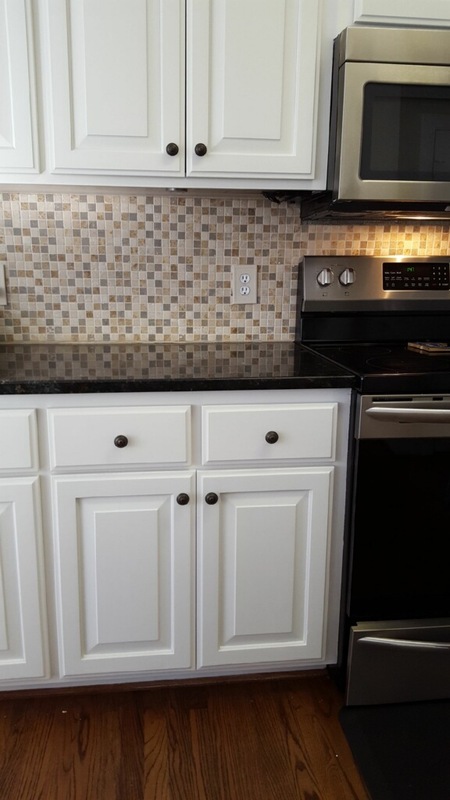 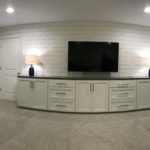 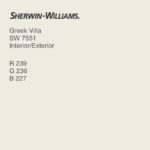 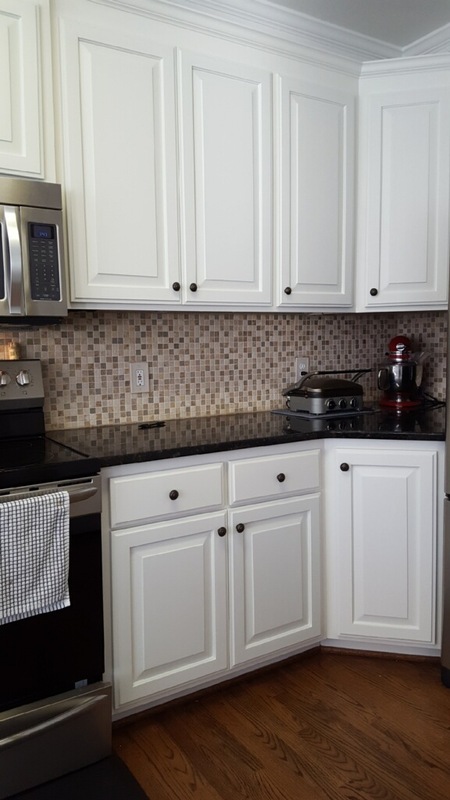 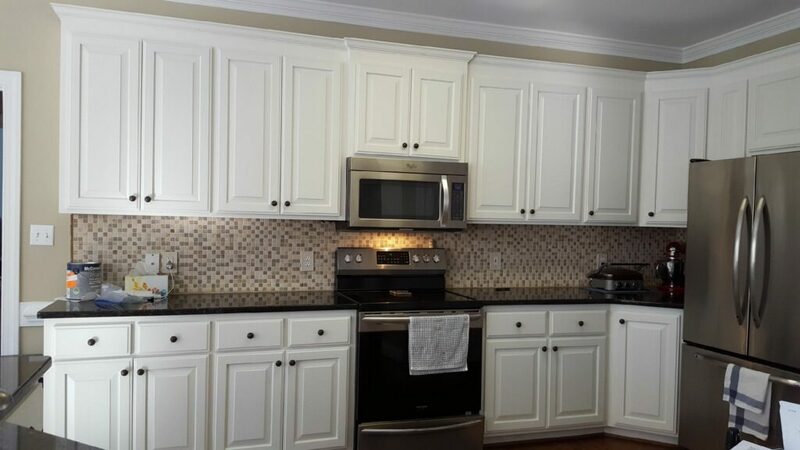 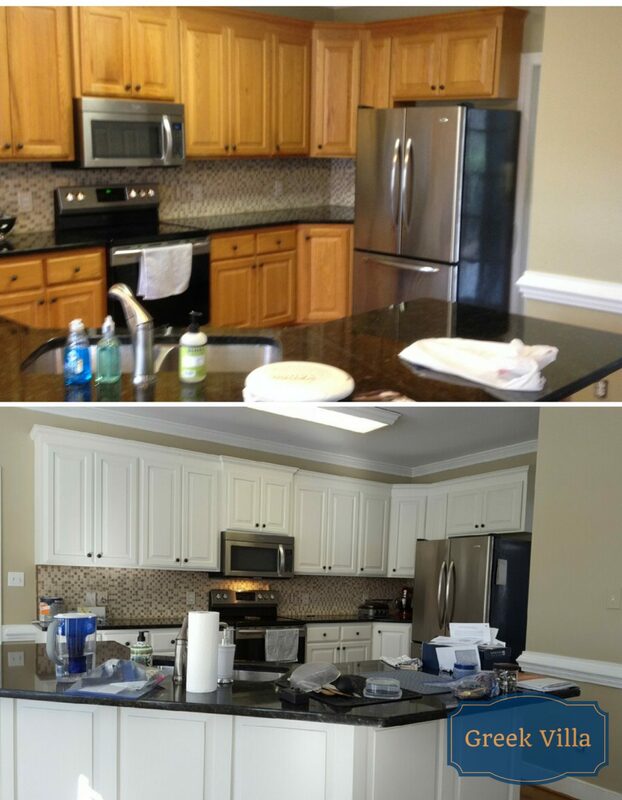 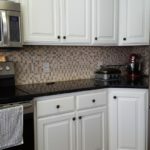 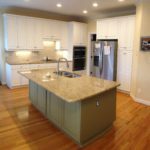 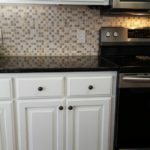 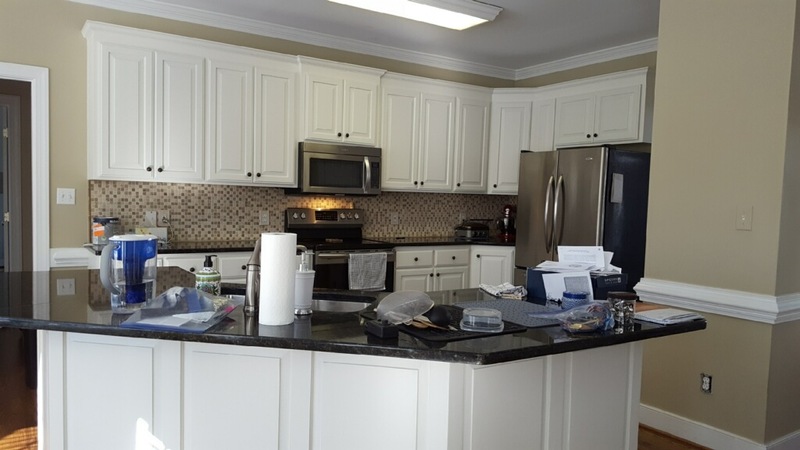 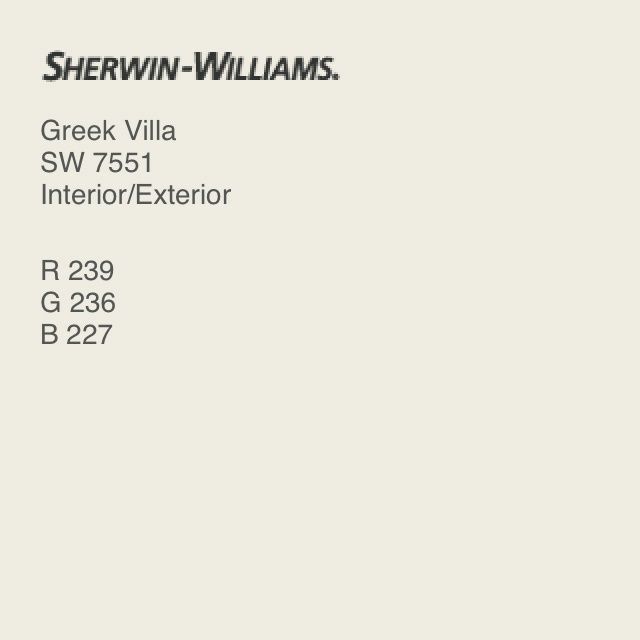 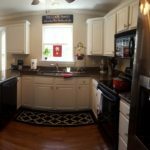 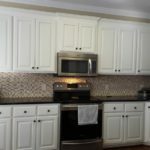 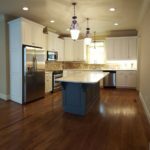 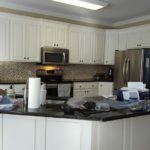 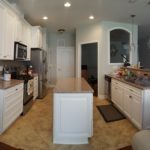 We painted them Greek Villa, a cool cream color with a hint of green undertones to help tie it into the backsplash and wall color. 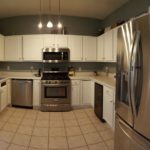 Now the space feels modern and fresh and it doesn’t feel like it’s hidden in the corner anymore.